QuickTime 6+ and broadband Internet connection required. Alan Ferber on trombone is featured on Jim Hall's piece "Ragman." Please come back and check out updates to this page. 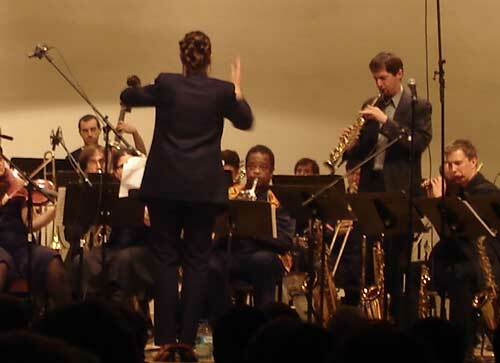 Soon there will be many more pictures, more audio, and even a few movie clips from our inaugural concert April 19 2006 in the Tischman Auditorium, New York.